New York: Henry Holt, 2013. Sixth. Hardcover. Very Good/Very Good. 8vo. pp. xiii 878. ""With the stirring final volume of this monumental trilogy, Atkinson?s accomplishment is manifest. 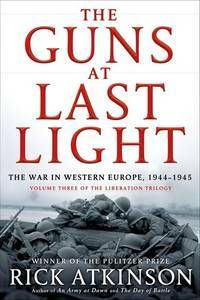 He has produced the definitive chronicle of the war that unshackled a continent and preserved freedom in the West. ""